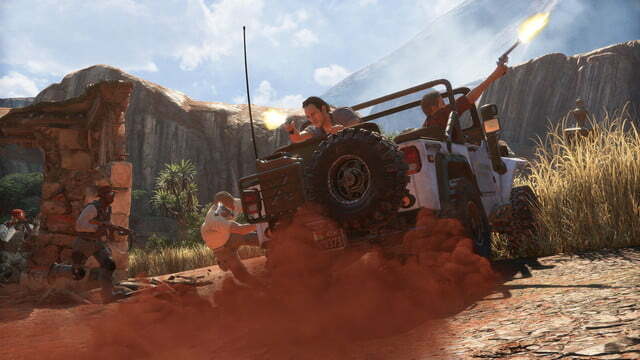 Uncharted 4 expands its scope (and borrows from other action-adventure games) with more open gameplay, more stealth, and more combat options. At almost a decade old and with three games already on the books, the Uncharted series has been starting to show its age. Since the release of Uncharted 3, there have been some major additions to the action-adventure game landscape. Metal Gear Solid V set a new bar in many ways with open-world-ish stealth gameplay, and Lara Croft has returned with two new takes on the classic Tomb Raider franchise — and has even been accused of cribbing from Uncharted here and there. 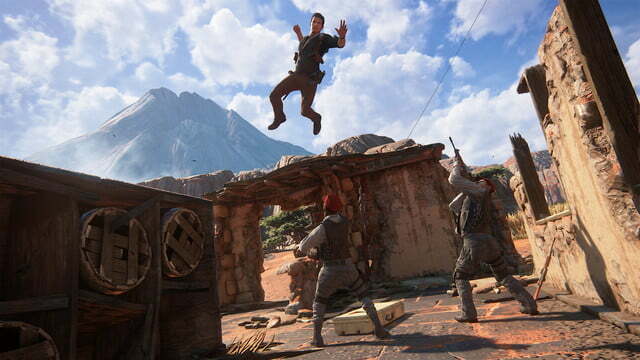 With Uncharted 4, it looks like Nathan Drake is taking a page or two from Lara Croft and Big Boss. And while the influences on this final entry into PlayStation’s flagship series are pretty obvious, so far, their impact on Uncharted 4 and developer Naughty Dog seem like they’re all for the better. 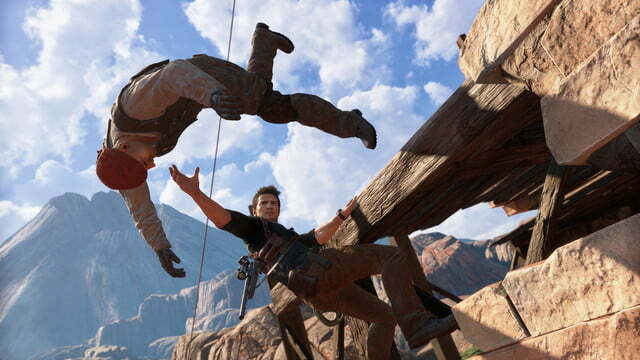 Sony and Naughty Dog gave journalists a chance at a hands-on preview of Uncharted 4 in Los Angeles last week, and right off the bat it was notable for being much less linear than the previous three games. The demo level takes place in an open area of Madagascar, as protagonist Nate Drake and his buds, long-lost brother Sam and treasure hunting pal Victor “Sully” Sullivan, chase after a pirate treasure. 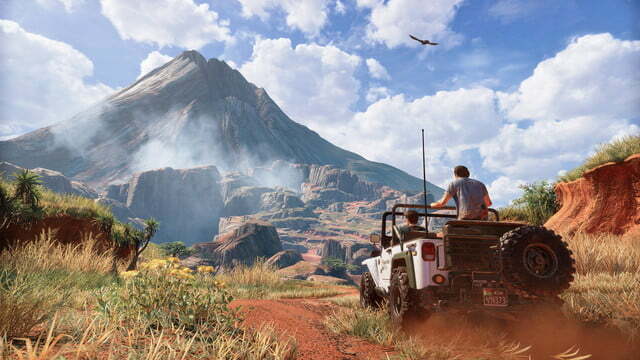 The section is also notable because it lets players take the wheel of a 4×4 Jeep and explore freely. 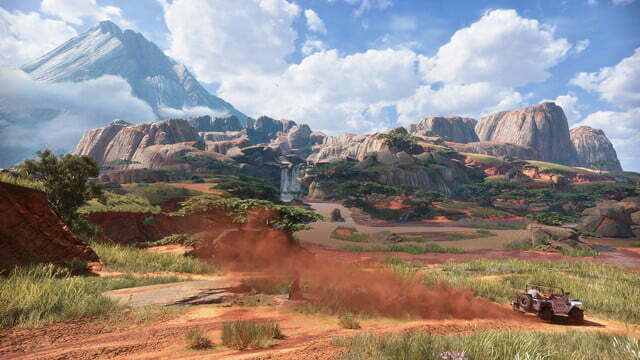 The emphasis on exploration is a refreshing twist on the Uncharted formula. The area isn’t exactly an open world, per se; instead, it’s kind of a “wide-linear” experience, as described by lead designer Emilia Schatz. There’s still a linear path through the section as Nate and his pals head for a distant volcano where they think the treasure is hidden, and with old guard towers along the way that provide clues to the booty, but players can drive around and investigate sites of interest off what might be considered the “main road.” These are mostly ruins, filled with artifacts and bits of story to find. And like in co-director and lead writer Neil Druckmann’s last game, The Last of Us, players who bother to take in the scenery will uncover optional side conversations between the three characters, which add lots of little flavor bits to the unfolding story. “We tried to do a lot more of player-centric pathing,” Schatz said in an interview with Digital Trends. 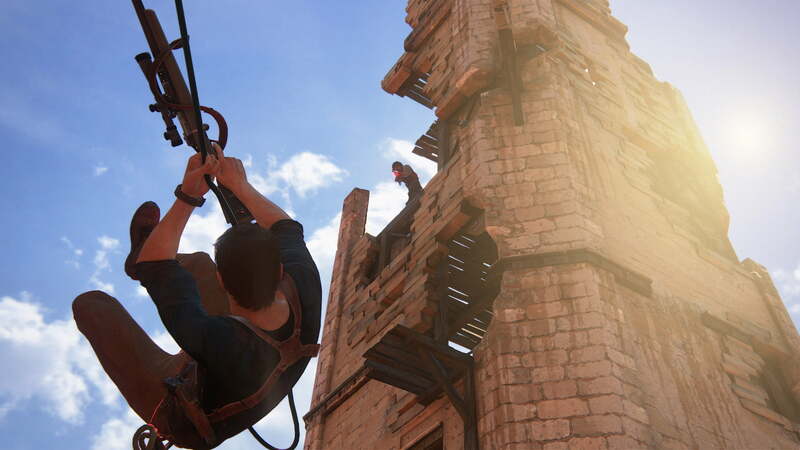 “Especially in Uncharted 3, we had a number of segments that felt very linear, almost like a greased tube, and that creates a very nice roller coaster sort of feeling, but at the same time as a player, you really want to feel like it’s on the stick. You want to feel like it’s a part of your actions. 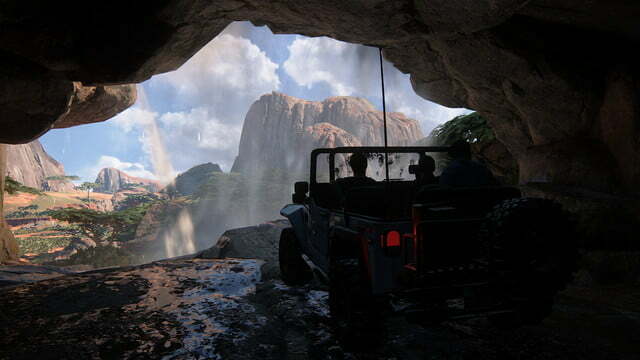 Driving freely around the area, a new addition to the series, is a major part of the gameplay in the demo, and Naughty Dog uses the Jeep as a chance to add bits of environmental puzzle-solving to a section that would otherwise be a bit repetitive. 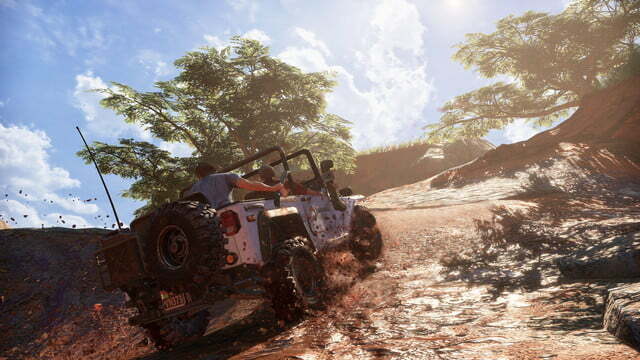 Muddy hills are an obstacle for the Jeep, so players have to watch for better traction in order to keep from sliding. There’s also a winch on the car, which gets used to solve a few puzzles, and which is the subject of much banter between the characters. The emphasis on exploration is a refreshing twist on the Uncharted formula, and it factors into Uncharted 4’s take on combat, as well. The last third of the Madagascar demo centered on a big encounter with enemy mercenaries, who are tearing toward the volcano as well. 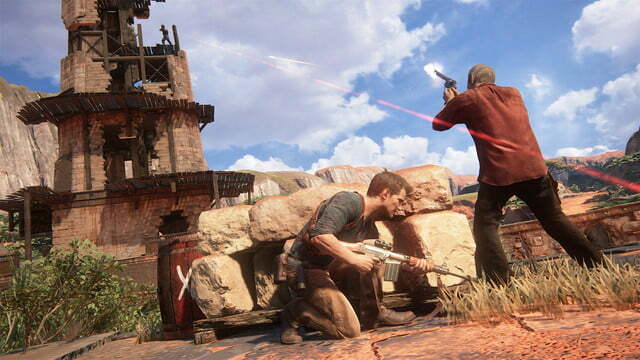 Of course it turns into a deadly firefight, but the more open take on the Uncharted formula means players are able to choose how to approach that fight, and how they want to play through it. It’s hard not to make direct comparisons between the encounter in the demo and last year’s Metal Gear Solid V. Just like in that game, enemies mill about in a location, and the player can drive up, hop out of their Jeep, and sneak up on them from any direction. Stealth also gets a major emphasis in the demo, with tall grass popping up all over the combat area to allow players to slink around unseen. 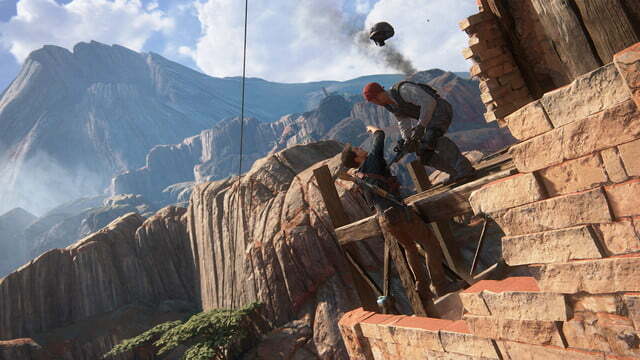 Uncharted 4 borrows a number of mechanics from other adventure games here to make it work. You can “mark” enemies like in Metal Gear Solid V or Far Cry 4 in order to keep track of their movements. Bad guys have “alert” indicators that fill up if they spot you, causing them to come investigate the area. And if you happen to trigger a full-on fight, you can break line-of-sight with your enemies such that they’ll lose track of you, allowing you to sneak up and outflank them again. Rather than having every fight turn into a pop-and-shoot battle of sticking to cover and taking out enemies when it’s convenient, it feels like Uncharted 4 is instead pushing players to be more mobile and adaptive. 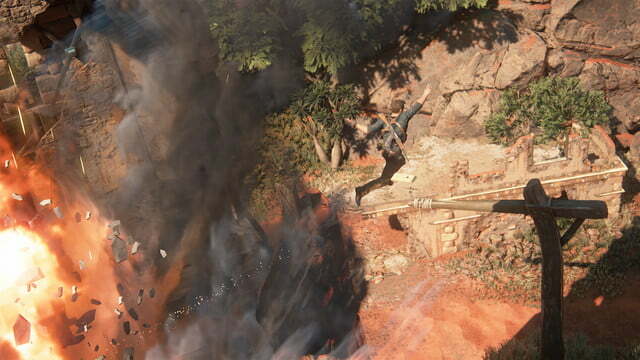 You’ll still have your gunfights from cover, but you also have options to use Nate’s new grappling hook and rope to swing around to new locations or drop on enemies and take them out in high-octane maneuvers. The demo was set to a pretty easy difficulty, but it seemed like in a more normalized gameplay experience, players would organically link careful, cover-based shooting with chances to lose their opponents and go back to stealthy hit-and-run attacks. 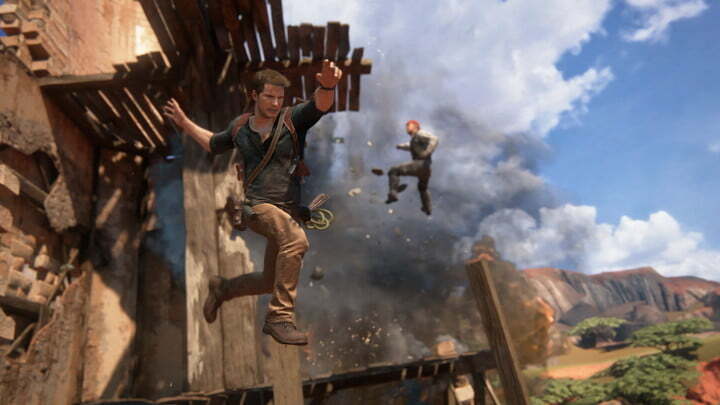 “The thing we’re super proud of in all the Uncharted games is the overlapping of all the gameplay mechanics,” Schatz said. “Separating Uncharted out from all the other shooters, for instance, is this idea of ‘traversal gameplay.’ Climbing is fun in and of itself, and then in the next level you have this cover-based shooter, and then we have you doing both at the same time. And that is absolutely the case of every single one of our mechanics. What the demo didn’t include, however, was much in the way of the huge, bombastic set-piece moments that Uncharted is known for. Given how much emphasis, at least in this slice, is placed on giving players the sense of more freedom and control, it might seem like those train-derailing, building-collapsing, cruise ship-sinking moments could be tougher to make feel right. Schatz said Naughty Dog basically has dealt with the problem by iterating, and iterating, and iterating, to make sure that Uncharted 4 maintains the gameplay feel that marks the series. Paths naturally converge on “pinch points,” so the game can deliver those big moments, important story beats, and the like. 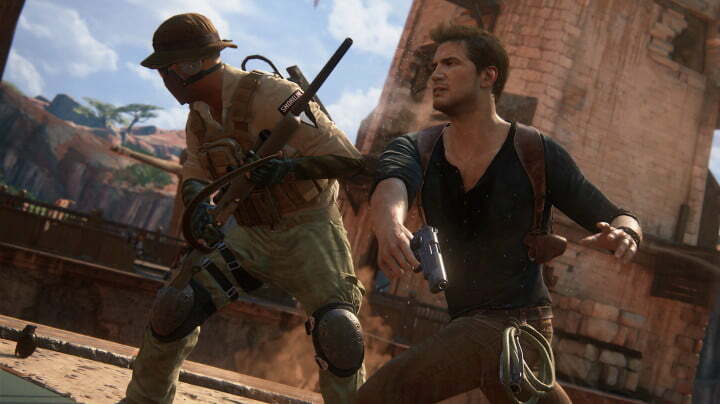 While the influences on Uncharted 4 are pretty obvious, so far, their impact on Uncharted and developer Naughty Dog seem like they’re all for the better. And while it’s easy to draw parallels between games like Metal Gear Solid V and Rise of the Tomb Raider with these new Uncharted changes — somewhat ironic, given how much 2012’s Tomb Raider reboot has been discussed as borrowing from the Uncharted series — that doesn’t mean those changes to the Uncharted formula are in any way pandering or trend-chasing. The Madagascar demo felt like an update to the series that helps it keep pace with other games on the market. The Madagascar demo was only a very small piece of a much larger game, so it’s difficult to extrapolate that experience to some of the bigger questions about Uncharted 4. Its combat was diverse and exciting, but it also did feel quite a bit like other recent entries into the action-adventure space. 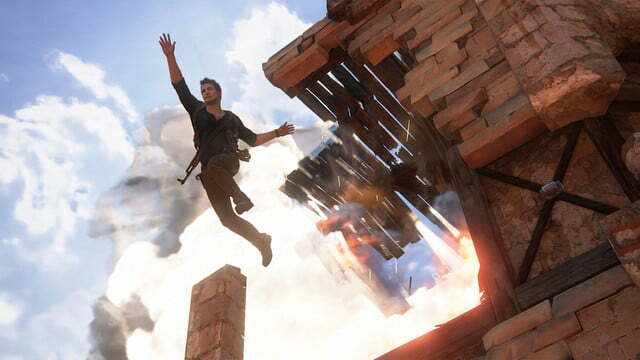 Uncharted has always banked its appeal on great characters and amazing moments, and the demo was thin on both of those elements. Though it’s impossible to accurately judge from such a small slice, the impression left from the hands-on experience is that Uncharted 4 will live and die by how well it can borrow from other games, while maintaining its essential Uncharted-ness. 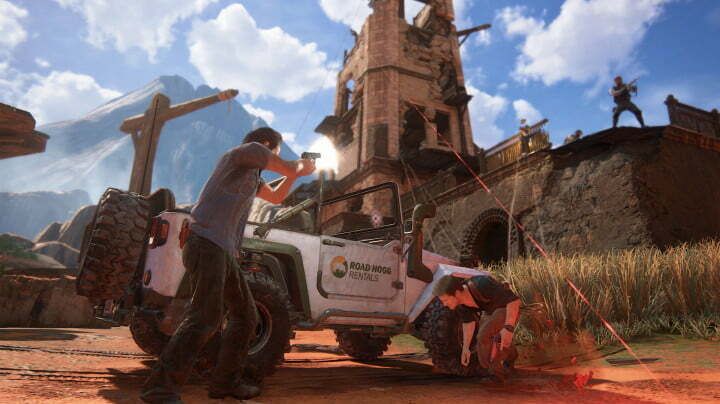 It won’t be until its release in May that players can find out whether Uncharted 4 will be able to expand its scope, while also remaining Naughty Dog’s unique takes on its genre. How will open level design work with set pieces?